Located at Anfield, the restaurant offers freshly prepared food including favourites such as steaks, grills, pizzas, burgers, salads and pasta dishes all served in unique and family friendly environment. 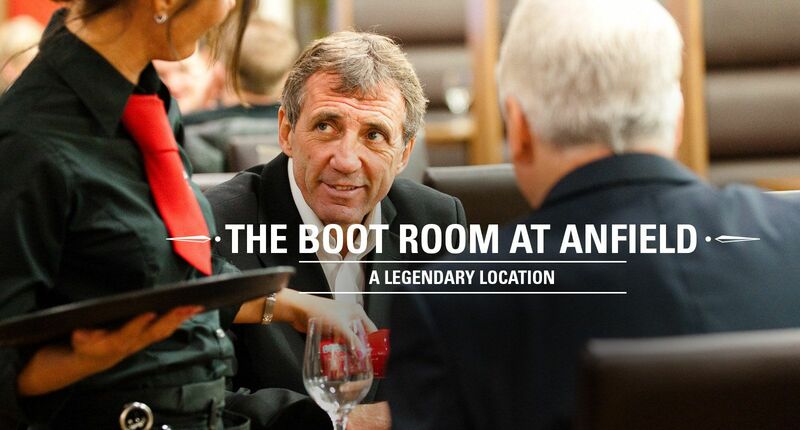 The Boot Room Sports Cafe is located at the heart of Liverpool FC underneath the world famous Kop Stand at Anfield. 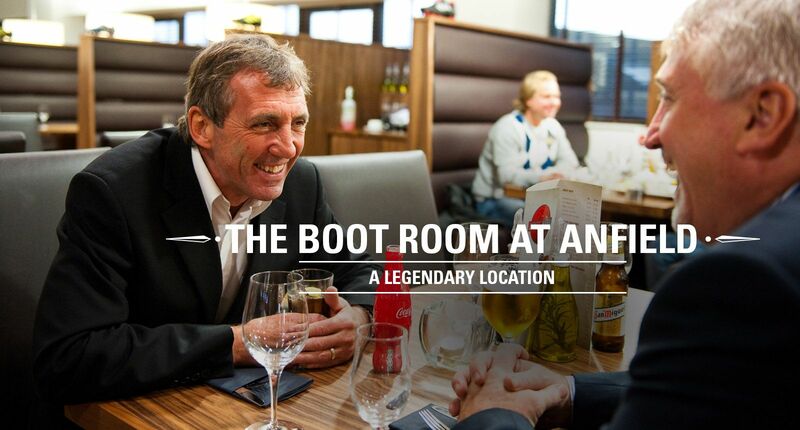 Open every day from 11am The Boot Room is perfect for both families and good food lovers alike, whilst the latest live sports are shown on TV screens in our private booth seating areas. Anfield is easily accessible from all major routes into Liverpool. Exit the M6 at junction 28, follow signs for Liverpool A58 into Walton Hall Avenue, drive past Stanley Park and turn left into Anfield Road where you will see the ground. Take the M62 to the end of the motorway; turn right into Queens Drive A5058, after 3 mile turn left into Utting Avenue, after 1 mile turn left into Anfield Road where you will see the ground. Go via the Mersey Tunnel for which you will have to pay a toll, follow signs for Preston A580, you should come to Walton Hall Avenue, just before you get to Stanley Park turn left into Anfield Road where you will see the ground.